Photo: Rao Harohalli, engineering manager, Regional Product Support and Engineering; Michael Croxford, product development manager, Regional Product Support & Engineering; Rodrigo Molina-Bachmann, IC product support specialist (L-R). Crown Equipment is integrating the needs of customers in Australia, New Zealand and Southeast Asia into its current and future products through the work of its dedicated Asia-Pacific design and engineering team. 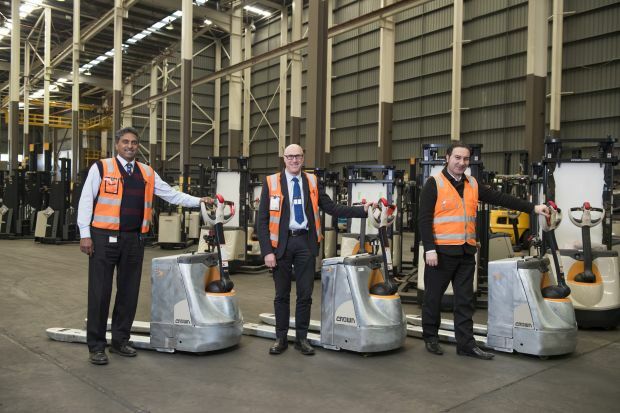 The company’s Product Engineering Development and Support Division, located at Crown’s regional head office in Smithfield, New South Wales, Australia, adds value for customers by providing modified lift trucks to suit specific needs. It also acts as a platform for ongoing change to Crown’s product line by giving recommendations to lead designers, helping make equipment that better meets the needs of customers in the region. Additionally, the division has provided fully developed designs and has tested information for a number of products currently in production. Crown Equipment vice president for the Pacific Rim Paul Jackson said Crown’s in-house engineering capabilities are an important part of delivering on the company’s promise of placing the customer at the centre of its business activities. “Our position at Crown has always been about delivering full material handling solutions,” Mr Jackson said. “This was born out of a commitment to manufacturing in Australia for the better part of the last 50 years. The capabilities of the Asia-Pacific engineering division can be seen in a number of the company’s products and ongoing innovations, which are completing specialised tasks on warehouse floors around the region. Product engineering development and support manager Michael Croxford said Crown Asia-Pacific gained considerable insight into the fundamentals of forklift production through its experience in manufacturing in Australia in the early 1970s. “The knowledge we gained from local manufacturing carries through today in our ability to innovate, better serving our customers by making our products more specialised and able to fit with their requirements,” Mr Croxford said. “We work with our highly experienced sales staff to help find the best solutions to customer needs, and work closely with them to make sure the solutions we create meet their needs while fulfilling regulatory requirements. The Asia-Pacific engineering team has also contributed to the current Crown line-up with designs such as the well-regarded SHR Series heavy-duty walkie reach truck. It has also added to the design of the newly released MPC 3000 Series reach truck through field research and testing. 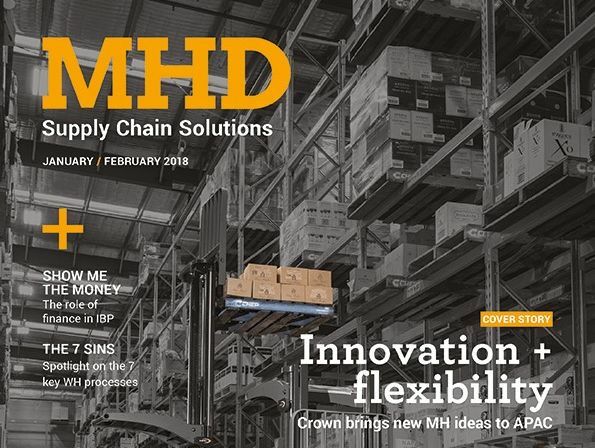 “The Asia-Pacific engineering team has contributed significantly to Crown’s development of semi-automated material handling products, which include geo-fencing and radio-frequency identification technologies,” Mr Croxford said. 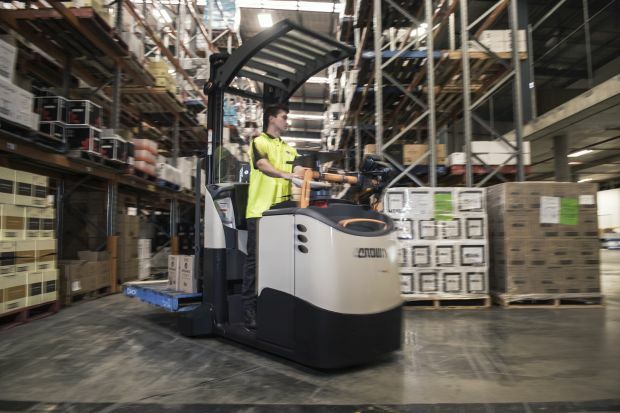 The Australian-developed MPC 3000 Series lift truck is the direct result of customer engagement and feedback playing a role in Crown equipment design. 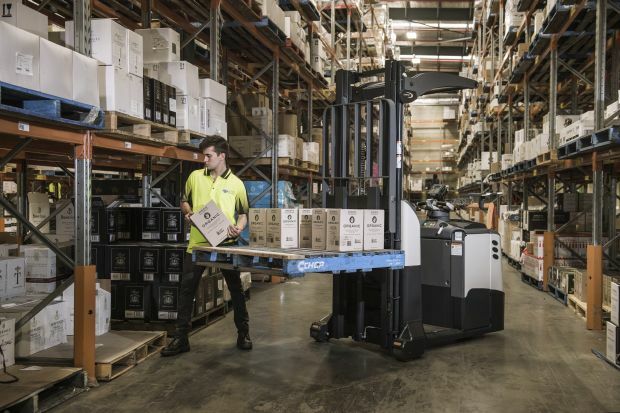 Adapted from the Crown GPC 3000 Series order picker developed by Crown’s European design team, the MPC 3000 Series’ proven effectiveness and popularity with Australia customers has led to a global roll-out. The MPC 3000 Series’ development was spurred by enquiries for a more effective solution in environments where both stock-pickers and counterbalance forklifts are used for ‘rainbow’ or ‘layer picking’ work, a common task for third-party logistics providers servicing high-volume end users with mixed picking orders. Crown initially developed four prototypes and passed them to high-profile customers in Sydney for evaluation. During more than 50,000 hours of field-testing, the product’s configuration was refined to combine a high-lift, clear-view mast with an outrigger-free counterbalance design. 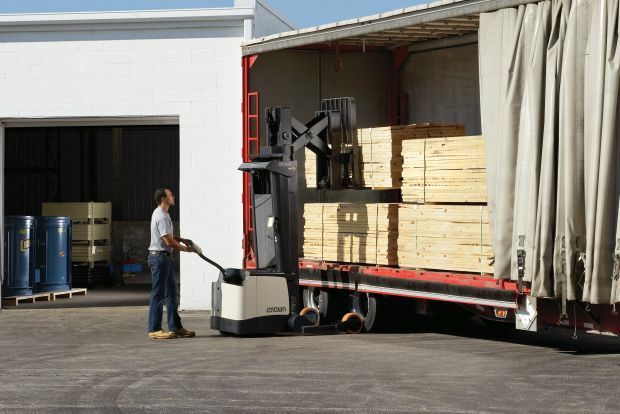 The combination created a versatile, multi-purpose stock-picker capable of performing tasks previously requiring an additional counterbalance forklift. The MPC 3000 Series’ height-adjustable layout has been designed specifically for order picking as well as replenishing low-level pick slots from high-level storage. The omission of outriggers allows closer proximity to machinery, sandwich-stacking four-way pallets and manoeuvring in tight or congested areas. 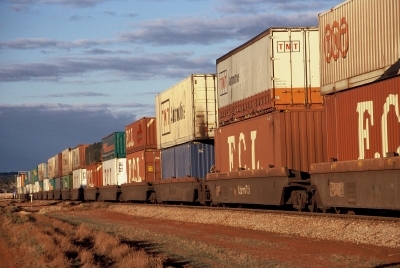 The result is a machine capable of streamlining equipment fleets, taking on multiple roles and maximising shift productivity. In addition to increasing efficiency for multi-layer stacking, the reach truck offers an ergonomic advantage. Its adjustable height allows operators to set pallets at their ideal picking height. This minimises stretching and bending, resulting in a reduction in fatigue and injury potential while improving operator productivity. “The MPC 3000 came about as a direct result of our engagement with our customers and trying to better understand the specifics of their businesses,” Michael Croxford said. “It is capable of performing multiple warehousing tasks such as order-picking and sandwich-stacking multiple pallets while reducing the amount of equipment required. The MPC 3000 Series is also compatible with Crown’s exclusive QuickPick Remote (QPR) order picking technology, which enables the operator to remotely advance to the next picking location without having to climb on and off the truck. Testing has revealed that QPR is capable of reducing operator fatigue while boosting order-picking productivity by saving the operator up to five seconds per pick. Crown’s WP Series electric pallet jack is a staple of numerous businesses in the Asia-Pacific region due to its time-saving capabilities, safety benefits, strength and dependability. Clean, hygienic equipment is a mandate of many of Crown’s food manufacturing, medical and primary industry customers, so compliance with HACCP (Hazard Analysis and Critical Control Points) and other bacteria-elimination protocols necessitates regular cleaning with harsh substances. Customers in these industries cited short lifespans for material handling equipment as a major issue. Operating near corrosive chemicals, in high pH environments and within constant wet or damp working situations, resulted in the working life of the WP Series pallet jack being cut short. In response, Crown’s Australian engineering division began developing a galvanised version of the WP Series pallet jack. Prototypes featured a protective zinc-treated body with stainless steel roller bearings replacing the standard items. Additional parts were modified to prevent water and chemical ingress to help prevent premature corrosion. Testing the galvanised WP Series in corrosive work environments with a number of customers has shown almost zero corrosion. “The galvanised units have proven themselves able to stand up to the harsh conditions. Day-in and day-out, the galvanised WP Series trucks are supporting operations and offering the extended lifespan that customers expect from Crown equipment,” Michael Croxford said. The galvanised WP pallet jack has been adopted globally and is now more versatile and longer-lasting thanks to this customer interaction. At Crown Equipment, as well as the lift truck industry in general, there is currently an increased focus on improving the capabilities of lift trucks through trends such as big data, mobile technology, the ‘Internet of Things’ and robotics. However, according to Paul Jackson, Crown products incorporating these technologies will not be at the expense of ongoing research and development aimed at delivering better product hardware. “The technology wave is building here at Crown,” he said. “We pioneered lift truck fleet management technology and we are further developing our InfoLink system alongside other forward thinking solutions that will provide real value for customers. “However, without reliable, useful products that can cope with the needs of customers in the environments in which they work, the efficiencies gained by cutting- edge technology are meaningless. For more information visit www.crownforklifts.com.au. Truck deaths: what is the answer?